You know, they blame the ChiComs for making cheap solar panels, but get this. 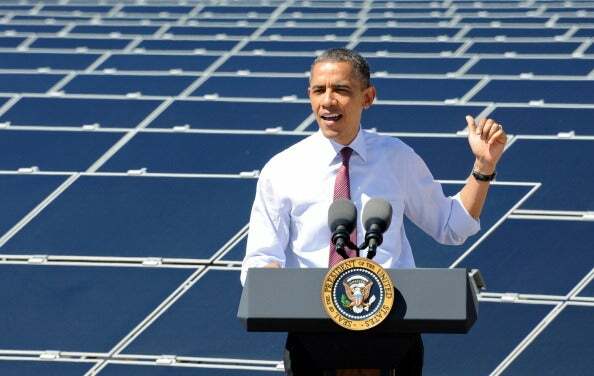 The largest American solar panel maker got $206 million in subsidies to boot! Just like Solyndra, they were a big Obama donor, so they give Obama a lot of money, Obama in turn turns around and returns some of it in the form of subsidies to their business. They went bankrupt. The solar panel business, there really isn’t any business there when you get down to it, and yet it’s hailed as the future of clean energy. It’s the future of the world and saving the planet. And it just doesn’t produce enough electricity to come even close to traditional fossil fuel sources. And God forbid if you have a cloudy day and you are served by solar panels, ’cause you’re up the creek.